The eyes are the windows to the soul, so the old saying goes. The eyes probably are the most intriguing sensory part of our body. It transcends beyond both its metaphorical and literal characteristics. While it is equally important to take on its symbolic aspect, it is rather easy to deal with the literal aspect of it. Since our eye area is biologically assigned the most delicate and fragile skin, it goes without saying that it is doubly sensitive to stressors and free radicals that we’re dealing with every single day. Living in the tropics can be awesome, we enjoy sunshine all-year-round, but the bad side is that we’re vulnerable to sun damage. If not defied early on, this can develop into fine lines and wrinkles and the way to prevent this is to use good, effective, Retinol infused eye creams to avert this progression. Experts say this comes from genes, but let’s not forget we deal with a lot of factors that further causes this every day. There’s the sun, there’s the computer, we sleep so late at night, and some even don’t because of graveyard jobs. We often look like panda walking and we befriended our sunglasses hoping to conceal the matter. Some are so fast in suggesting the best way to go around with this – go for eye creams that are rich in Vitamin C or go for creams that has Kojic and concealing properties. When I read tearjerker books or watch tear inducing films, I always have a problem with this. This happens when there is water build-up under the eyes. Experts suggest a good round of caffeine can help circulate the blood and reduce puffiness. 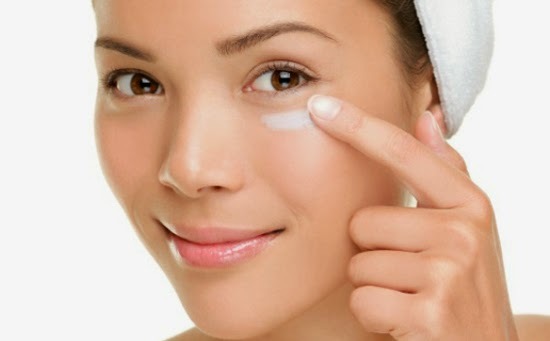 Others say cold temperature can lessen bulging; this is the reason why many refrigerate their eye creams before applying. This page has collated the review of the best eye creams the beauty market has these days, find out what suits you best.